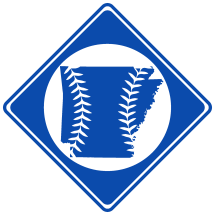 Pine Bluff was a professional baseball team based in Pine Bluff, AR in 1891. Tony Niederwieser with Pine Bluff. The team was managed by Henry Cook. 6/26/1891 Pine Bluff, AR Hot Springs W 13 8? Frank B. Flanders 10/18/1861 in Canada1 8/9/1924 in Olney, IL Pine Bluff resident. Tony Niederwieser 11/26/1864 in St. Louis, MO2 6/22/1941 in St. Louis, MO2 St. Louis native. Little Rock resident circa 1910-19203. Vaughn/Vaughan Memphis player, appeared for Pine Bluff in third game against TSN. 1. Illinois Death Index at Ancestry.com. 3. In the 1920 U.S. Census as T"ony Zermatten."